Susan Heim on Parenting: GIVEAWAY: A Charlie Brown Christmas ~ Snoopy Doghouse Edition CD! GIVEAWAY: A Charlie Brown Christmas ~ Snoopy Doghouse Edition CD! One of my all-time favorite Christmas shows is A Charlie Brown Christmas. Who can resist Charlie Brown’s efforts to give purpose to a scraggly little tree or Linus’s speech explaining the real meaning of Christmas? 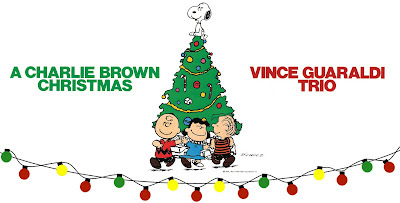 And the music by Vince Guaraldi was the perfect choice to set the mood for this delightful Christmas classic. The TV soundtrack has been 4x Platinum as of 2017, and it was even voted into the Grammy Hall of Fame in 2007! 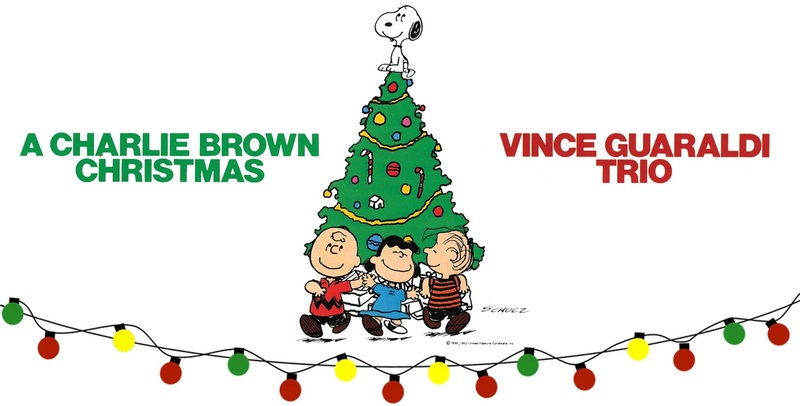 Featuring the familiar jazz stylings of the Vince Guaraldi Trio, A Charlie Brown Christmas is the second highest selling jazz album of all time behind Miles Davis’s Kind of Blue. Now you can enjoy this music courtesy of a special Snoopy Doghouse Edition of A Charlie Brown Christmas on CD! 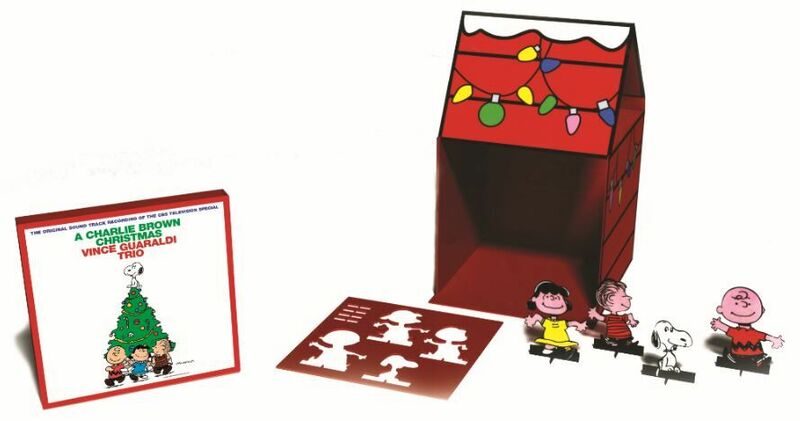 This deluxe package includes the remastered CD of one of the most popular and beloved holiday albums of all-time, A Charlie Brown Christmas, with 3 bonus tracks not on the original 1965 recording, a 20-page booklet, plus -- the highlight of the package -- Snoopy's colorfully decorated doghouse and cut-out replicas of the PEANUTS gang! Stores: Just about any store you walk into! I hope you’ll pick up a copy of A Charlie Brown Christmas ~ Snoopy Doghouse Edition CD for your music collection, as well as a gift for the music lovers in your life! P.S. The TV special, A Charlie Brown Christmas, airs on ABC on December 6 this year! One lucky winner will receive a A Charlie Brown Christmas ~ Snoopy Doghouse Edition CD! Enter through the Rafflecopter form below. This giveaway is open to U.S. residents only and ends at 11:59pm on Friday, December 14, 2018. CLICK HERE to enter to win a Green Vinyl LP of the soundtrack for A Charlie Brown Christmas! Disclosure: I received no product samples or compensation for this post. Thank you to the sponsor for shipping this prize to the winner. My favorite is Christmas Time Is Here (Instrumental). My favorite is Christmas Time is Here, it brings back so many memories. "Check out the song list above and leave a comment on this blog post sharing your favorite." I've listened to Vince Guaraldi Peanuts CDs in the past, but I don't know which of these songs has the full Vince Guaraldi-ness that I enjoy. I'll say "Linus and Lucy"! What Child is This is one of my all time favorites! My favorite is What Child is This. What Child Is This is my favorite. Christmas Time Is Here (Vocal). I love Hark, The Herald Angel Sings! Hark, The Herald Angels Sing -- I think I could say might be my favorite, although all of them are nice! Christmas Time is Here is my favorite. I love their version of Christmastime is here! My favorite Christmas song is Josh Groben's Believe, I cry every. single. time.! My favorite is Hark, The Herald Angels Sing. I always loved Hark, The Herald Angels Sing. It is a classic. I love Christmas Time Is Here (Vocal)! My favorite is What Child Is This?. My favorite song is Christmas Time Is Here (Vocal).